The nut was pretty chewed up as well, someone before must have had some fun with a chisel. I tried and tried but couldn’t budge the thing. After several attempts somone offered me the loan of a nifty impact drive. Stick the socket on one end, hit the other end and it worked it free. After a few hits and thinking nothing was happening I then tried the long handled ratchet and off it popped. 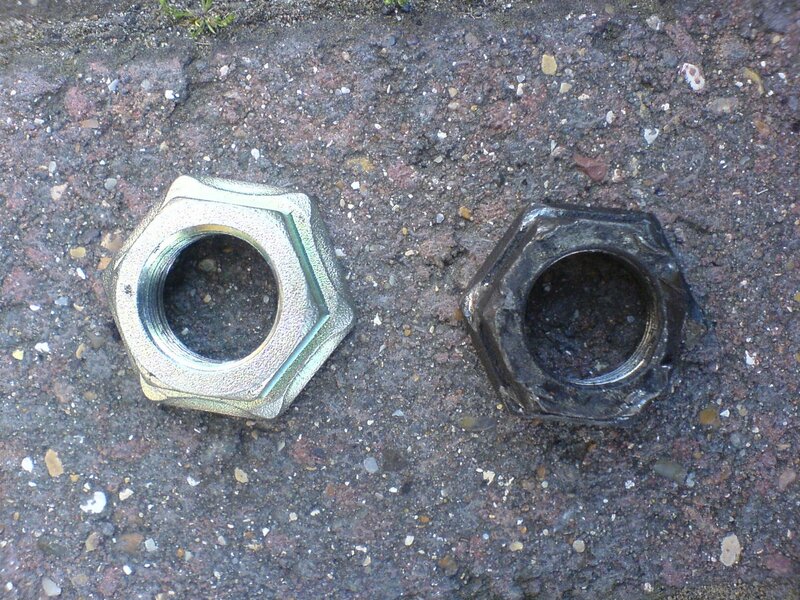 I had to buy another nut to know for sure which way it screwed off though, I had read in a few places that most sprocket nuts have reverse threads on them, not apprently my ZX9R or GPZ 900 for which the new sprocket nut was intended but fits my bike fine. The washer didn’t however as there are a different number of splines (and hence different spaces). 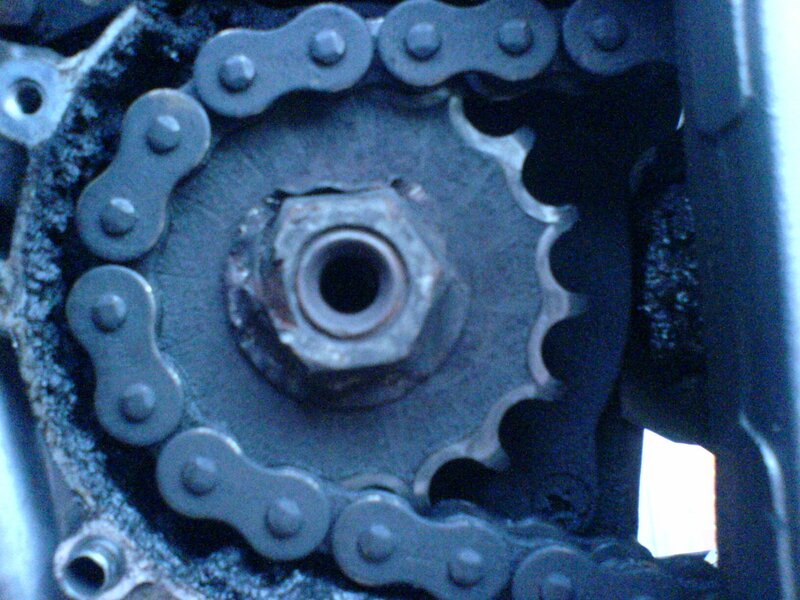 I will sort out a washer at some point if I plan on taking the sprocket nut off again. I found the difference between the nuts funny, it was a long afternoon after all. I will say I think the only thing that went wrong was putting the new chain together, there was one point when I thought I had totally stuffed if. The instructions said “tighten very hard” I guess they didn’t mean THAT hard. I broke the “anvil” piece of my chain riveter and striped part of the thread of another part. 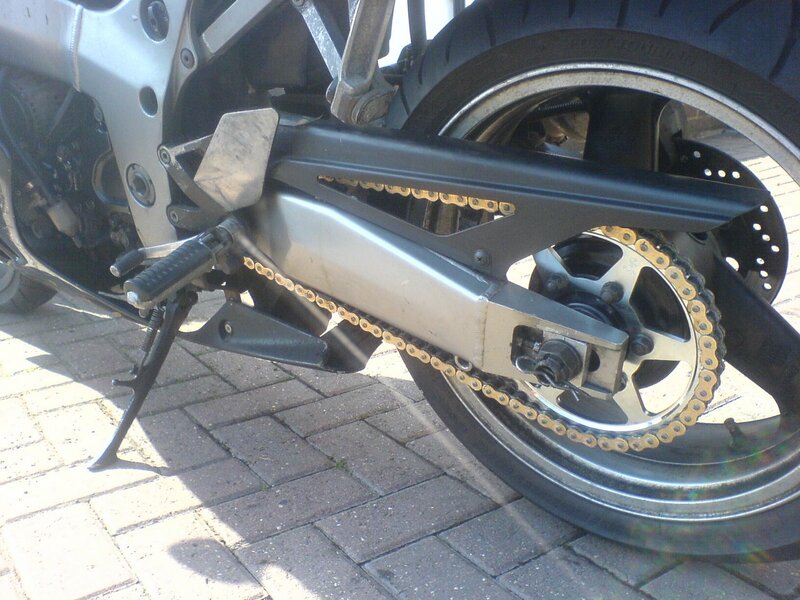 Note for the future: motorbike chains are not so different from bicycle chains. After a quick panic and swearing session I wiggled the chain pins back a bit and everything seemed fine. 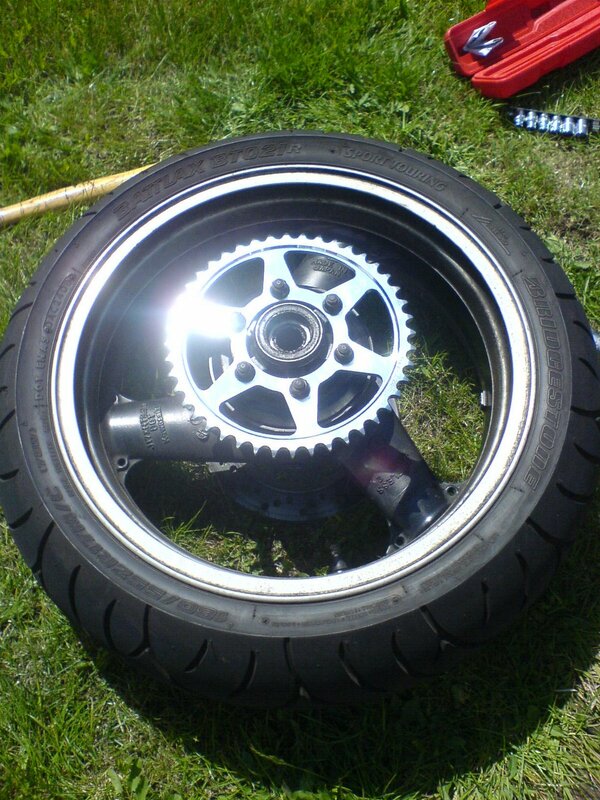 I finished off by grinding the rivets and put the back wheel in. Quick spin up the road and back to check the chain tension and everything is looking fine.